Chris Hansen was part of a wave of Doom authors that debuted in 97-98 and established themselves in the years that followed; like his good buddy, Paul Corfiatis, Hansen is still making PWADs. This one, The Unknown Chasm, was his third original release. 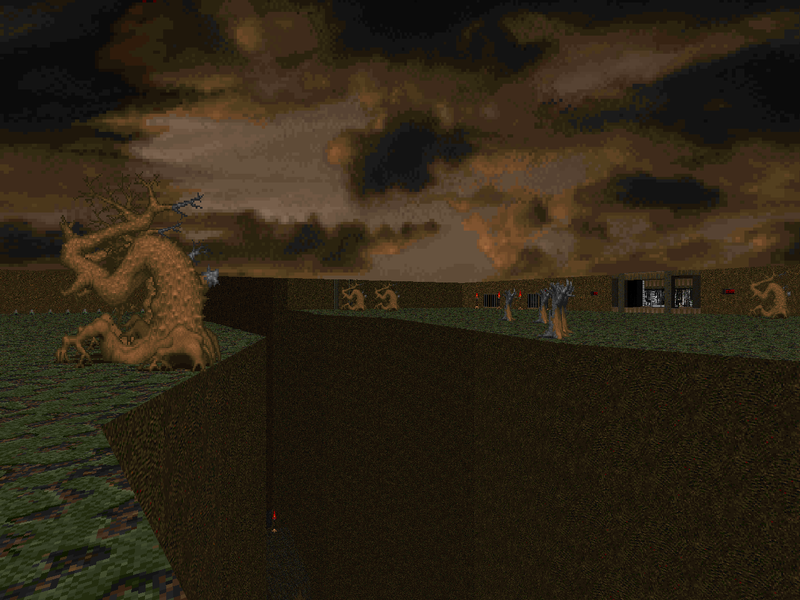 It is a single level for Doom II published in August 1998 and occupies the MAP03 slot, which is interesting as the previous level - The Blessed Hex - was made for MAP22. As I mentioned before, it's probably because of the song and sky combination, especially since the followup is for MAP25. 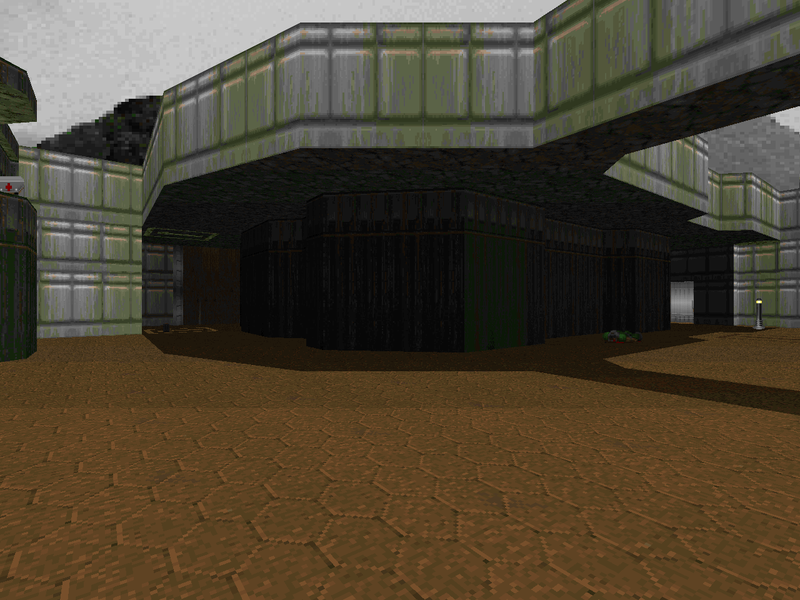 Oh, yeah - this is part of a series, Chris Hansen's Doom 3: Ad Infernos. The first thing any self-respecting Doom author does is plan out an epic series to build on the charming narrative of either of the IWADs and cement their place as the maker of one of the most talked-about PWADs on the /idgames archive. Well, uh, I'm not saying that Chris Hansen was in the self-congratulatory cloud. 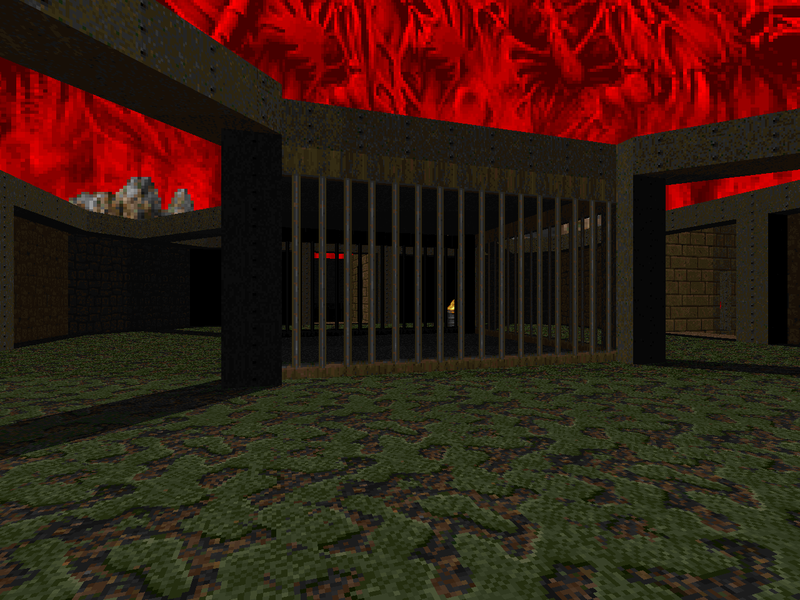 But, his first four levels were part of a series he had dubbed Doom 3: Ad Infernos. 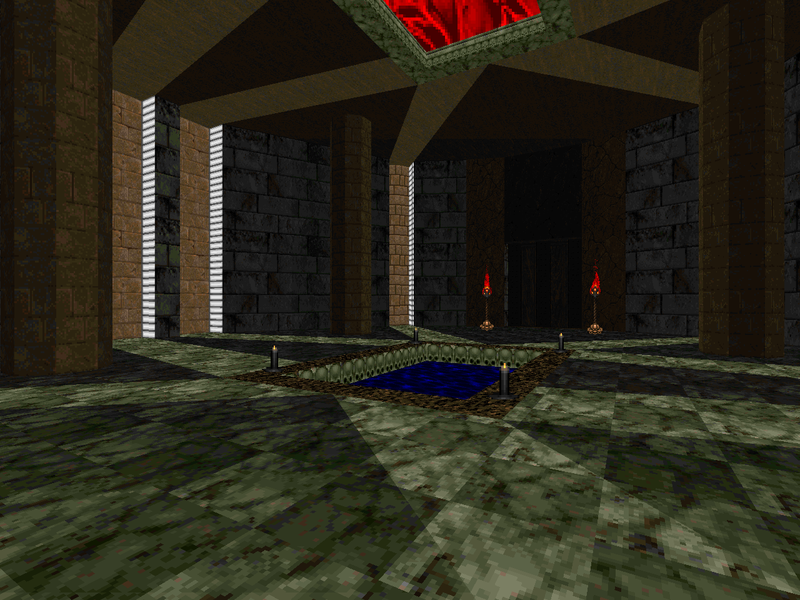 The Blessed Hex is the second level in the series, following The Revenge of Avind. 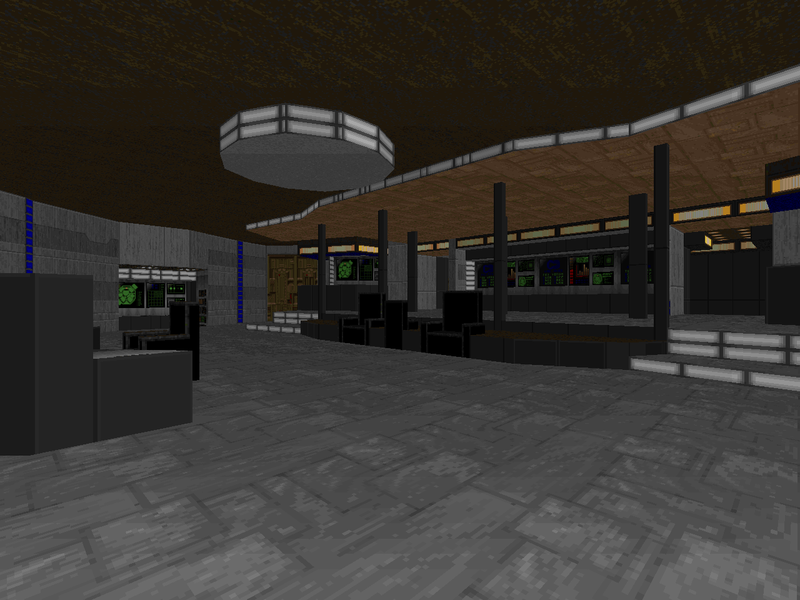 It's a single map replacement for MAP22, which usually results from a combination of which Doom II track and sky the author preferred. Hansen is one of the community's longest-running authors, a dude who has published pretty much something every year since 1998... though his early work didn't make it to the archive proper until 2000. He's also been one of Paul Corfiatis's chief collaborators, guest-starring in 2002: A Doom Odyssey as well as Bella II. 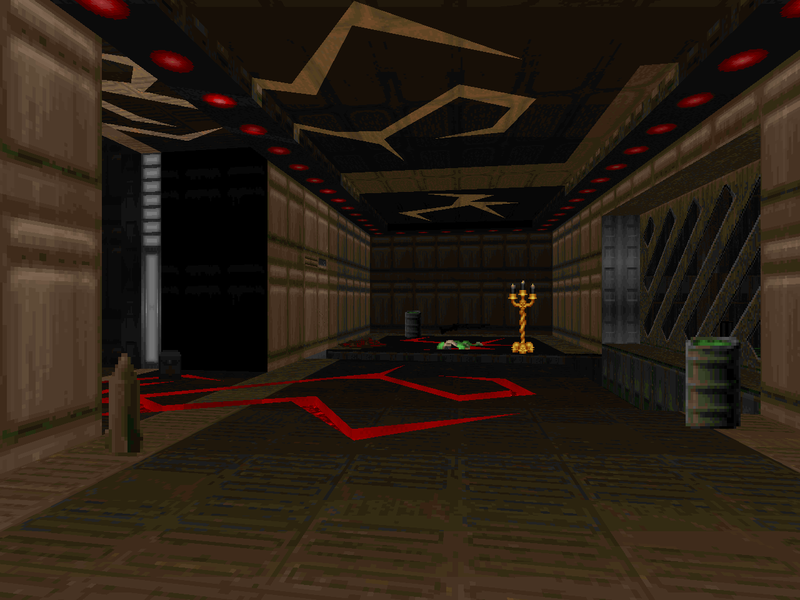 The Revenge of Avind is his first original level as well as the first of a short series of Doom II levels (Doom 3: Ad Infernos), this one followed by The Blessed Hex. It's a MAP01 replacement, originally published in 1998, and has its own bit of flash fiction to go along with it. 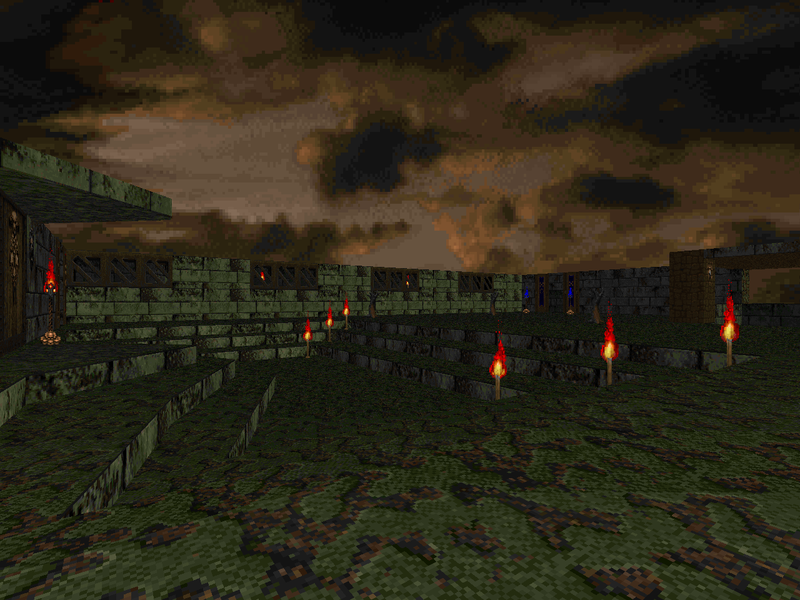 Yes; John Romero done went and made a Doom PWAD. The name of this level is Tech Gone Bad, and it replaces E1M8. Twenty-two years later in 2016, you can finally have your full-Romero E1. The purist bogeymen will be disappointed, since Romero opted for limit-removing ports and uses some of the goodies that were reserved for E2 and E3; namely, the Berserk pack and invul sphere. They're both here, along with everything else from Knee Deep in the Dead, plus a little something extra because of the plot. As a man named Jasper once said, "...What a time to be alive."